League One and Two clubs up and down the country are reacting to their respective weekend results - and we'll be bringing you the latest. Sunderland owner Stewart Donald reveals what the future holds for Sunderland's wantaway duo, as well as updating supporters of the club's financial position. 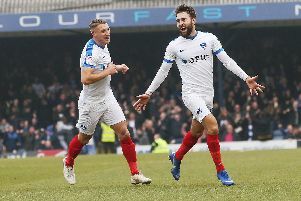 Meanwhile, Portsmouth manager Kenny Jackett believes his side have been given a wake up call after drawing on Saturday. Portsmouth have been given a wake-up call by Shrewsbury. Picture: Joe Pepler/Digital South.